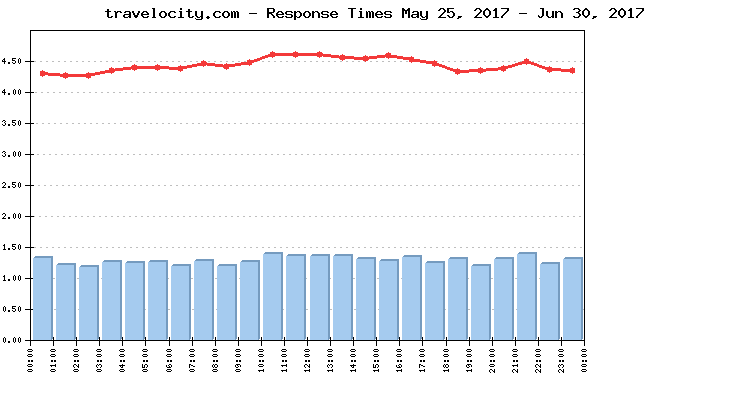 The daily Average Response time from all monitored websites was 4.399 sec. The Average Response time as measured from the US East Coast (Washington, DC) was: 3.325 sec. The Average Response time as measured from the US West Coast (San Francisco, CA) was: 3.782 sec. The Average Response time as measured from the Australia (Sydney) was: 6.082 sec. The Average Response time as measured from the Europe (Amsterdam) was: 4.407 sec. The Best Response time measured from US East Coast (Washington, DC): 0.774 sec. The Best Response time measured from US West Coast (San Francisco, CA): 1.140 sec. The Best Response time measured from Australia (Sydney): 1.805 sec. The Best Response time measured from Europe (Amsterdam): 1.239 sec. 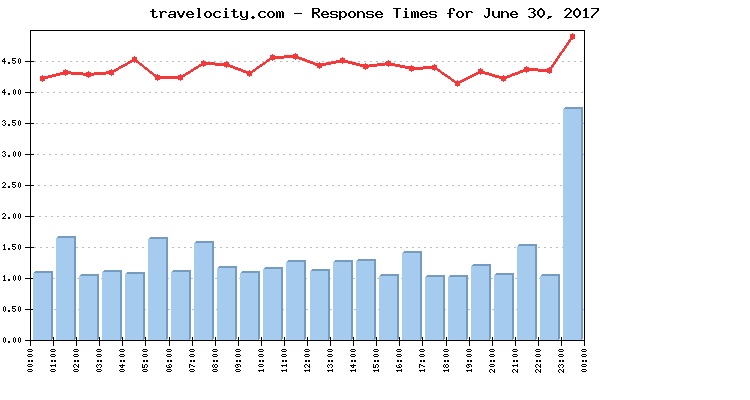 The typical shopping transaction took the least time for travelocity.com visitors - 1.313 sec., while the visitors of homeaway.com had to be the most patient, as the shopping transaction there took in average of 10.871 sec. 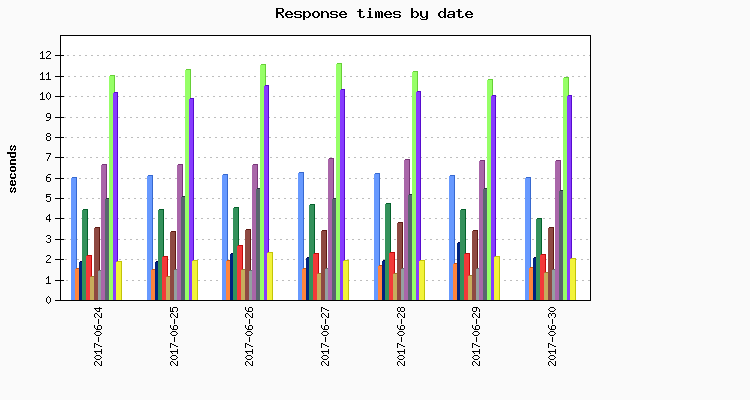 Five of the monitored websites delivered above-the-average response times for their transactions, while eight of them demonstrated below-the-average daily performance. Twelve websites were available with no interruptions - 100%. Twelve websites' availability was above the average, while one site dragged the average down with below-the-average availability. No events of particular importance or possible negative impact on the online visitors' interaction with the Websites included into the 2017 Vacation Planning report were detected during the reported period, and according to WebSitePulse, the Group delivered the expected levels of End-User experience and Customer satisfaction.